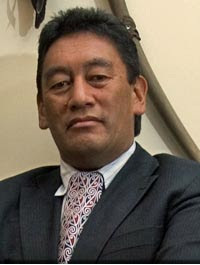 Some good ideas from the Maori Party on how to tackle poverty in New Zealand. RAM's demand to remove GST from food has been taken up and they're calling for the first $25,000 of income to be tax free. Combined with their call for other sources of government revenue to be investigated - a capital gains tax and a bank transaction tax - there policies are looking to shift the tax burden off low and middle incomes and on to the rich and corporations. Set a baseline for poverty at 60% of the average wage, and a deadline of 2020 to eliminate child poverty. Exempt the first $25,000 of income from tax. Raise the minimum wage to $15 per hour. Investigate other sources of revenue ­ capital gains tax, bank transaction tax. “It is deeply ingrained in New Zealanders to care about te pani me te rawakore, the poor and vulnerable. But the government is listening to lobbyists for the wealthy elite. A bit more emergency assistance for beneficiaries will not get to the root of the problem. There has to be a significant change of attitude towards redistribution of wealth through the economic system, and asking what kind of society we want,” said Mrs Turia. MARXIST FORUM: The Global Food Crisis - Fact or Fiction? What must we do to prevent catastrophic climate change? 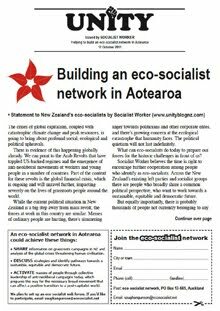 The latest issue of Workers Charter paper features responses to the question: 'What must we do to prevent catastrophic climate change?' Two responses from Don Franks, Workers Party member, and Daphne Lawless, RAM member, consider the idea of nationwide public assemblies to kickstart a climate change movement, which was raised on UNITYblog (see Nationwide public assemblies on climate change). Don Franks, Workers Party: A recent posting on the UNITYblogNZ.com calls for a climate change movement: “which challenges the big corporations and politicians who would put profits before human survival". It goes on to suggest: "If leaders from trade unions, churches, political parties, environmental groups and other community organisations came together we could make it happen." And if marmite and butter would spread themselves I would not have to make my own sandwiches for lunch. 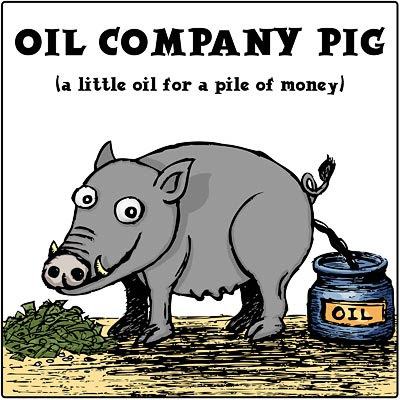 Virtually all New Zealand trade union leaders, preachers, political parties, environmental groups and community organisations I’m aware of are absolutely fixated with the appeasement of big corporations and politicians. "Challenging the big corporations" meaningfully means breaking all the rules of the capitalist society we currently live in. It means taking the road of socialist revolution. Climate change is scary, but, like other horrors we’ve previously faced, like the threat of nuclear war, it will not turn wolves into sheep or bend the rules of class interests. The only way to save the planet is for the world’s workers to unite in action and destroy the private property system. I don’t lightly offer that as empty rhetoric; it’s my considered sober assessment of the required solution to the problem. Daphne Lawless, RAM member: The idea of nationwide assemblies on climate change bears some serious thought. The mere idea that ordinary people could get together and discuss what climate change means for us, and what could actually be done to stop it, flies in the face of everything we're taught by the media and the bosses – that the only thing we can do is hide in our houses and spend our too-hard-earned money on “green” products. It's the logic of the market, of money doing the talking, which has caused the problem, and it can only be mass action from below which changes it. Let's get together. The only question now is, who's going to make this happen? Which sector of people is going to take the initiative to start this mass conversation? You'd think it would be the lefty activists, in that the essence of socialist politics is that only mass action can change the world. Yet so many activists are writing off the possibility of radical mass action in advance – perhaps because they are sincerely convinced by the media propaganda that nothing can be done, perhaps because that gives them an excuse for not doing anything. So who is going to put up their hand and start organising this mass discussion? Because whichever party or movement makes that happen will be able to set the agenda, and will gain mass credibility in the eyes of ordinary people. What do UNITYblog readers think? Send your thoughts to editor@unityblognz.com or post a comment below. by Rob Rooke from LINKS - International journal of socialist renewal No single commercial product in the history of capitalism has had a greater effect on the economy and politics than the automobile. No other product has been such a lever to increase consumption and increase markets in the developed world. It could be argued that the car, more than any other product, was at the very heart of the 20th century’s economic expansion. In US society, for over a century, the car has been raised on a cultural pedestal worshipping individuality and defining big business’ vision of freedom. The car hastened the massive sprawl of suburbia and in itself shaped US urban planning like no other product. Today, in the United States, public transport plays a distant second fiddle to the car with nine out of ten workers using their cars to travel to work. In people’s everyday life, the car is now their second biggest household expense, next to housing. The car has reached its zenith. This brief socialist history of the automobile will attempt to give some background and context to today’s car-dominated world. It will attempt to explain how the automobile and the mad chase for profits has shaped the world, and helped in turn lead humanity to its current fork, where one road indisputably will lead to global destruction. In France, fishermen are blockading oil refineries. In Britain, lorry drivers are planning a day of action. In the US, the car maker Ford is to cut production of gas-guzzling sports utility vehicles and airlines are jacking up ticket prices. Global concerns about fuel prices are reaching fever pitch and the world's leading energy monitor has issued a disturbing downward revision of the oil industry's ability to keep pace with soaring demand. Yesterday's warning from the International Energy Agency sent the price of a barrel of oil to a new record for the 13th day in a row. The latest high – $135 for a barrel of light sweet crude – was reached in New York barely five months after the price hit $100. Experts in London and on Wall Street predict that prices will rise to $200, regardless of the protests of consumers and the complaints of politicians. It is simple economics, they say: supply and demand. The former is short, the latter growing. Consumers are feeling the pinch in almost every area of their daily lives. The pain is felt most obviously at the pumps. In Britain, the price of petrol has risen to an average of 114p for a litre of unleaded – £5.15 per gallon. In the US, where drivers pay much lower prices, gasoline is more than $4 (£2) a gallon. Beyond that, energy bills are rising for households across the globe, hitting the poorest the hardest. British Gas, the nation's biggest gas and electricity supplier, is mulling further price rises, on top of the 15 per cent average increase it introduced in January. Airlines which once limited fare increases to temporary "fuel surcharges" are now raising ticket prices and – as American Airlines did this week – starting to charge for checked baggage. Meanwhile, manufacturers are putting up the price of goods to compensate for higher energy bills at their factorues, ending many years of price deflation that began when firms started transferring production overseas. "The high-priced energy environment is being driven by the fact that demand has outstripped supply," President George Bush's Energy Secretary, Samuel Bodman, told the US Congress yesterday. "We have sopped up all the available spare oil production capacity in the system .... and there is no silver bullet that will immediately solve our energy challenges or drastically reduce costs at the gas pump." 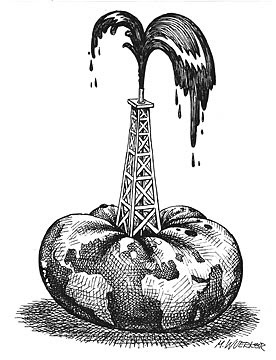 The world uses about 87 million barrels of oil a day, about a quarter of it in the US. Saudi Arabia is the only country thought to have the capacity to pump oil faster. Meanwhile, China is in the throes of an industrial revolution that demands ever greater supplies of crude, yet global production has stagnated for two years. The Saudi government rejected a recent appeal from Mr Bush to increase production, saying there were no oil shortages at present. Economists worry, though, that shortages are around the corner, as mature oilfields wind down. The Paris-based International Energy Agency (IEA) said yesterday that it might have overestimated the capacity of oil-producing nations to open new fields to keep up with growing demand over the next decade. Global production, which the IEA previously reckoned could reach 116 million barrels a day by 2030, might not even make 100 million. Fatih Birol, the IEA's chief economist, said the oil industry had entered "a new energy world order" where it was harder to keep supply and demand in equilibrium. "When the price went up as a result of the Iranian revolution, demand went down," he added. "But what has happened in the last few years has not been in line with economic theory. The price of oil went up sharply between 2004 and 2006 and demand actually increased. That may seem bizarre but it is the result of new buyers coming in, such as China and the Middle Eastern economies where fuel is subsidised by government and rises are not reflected on the consumer side." Some politicians in the US rail against nationalised oil companies in the developing world for failing to invest in new production that might alleviate stresses in the market. And at every turn, Mr Bush and members of his administration insist that environmentalists should yield to the public hunger for oil and Congress should authorise drilling in the Arctic National Wildlife Refuge in Alaska. However, the investment bank Goldman Sachs said this month that the oil price could rise as high as $200 over the next year and would remain consistently above $100 until there was a significant fall in US demand. There are small signs of that happening. Yesterday, Ford said it was cutting vehicle production by more than it announced earlier this year. It will make the deepest cuts in its SUV and pick-up truck businesses because US customers are increasingly switching to lighter, more fuel-efficient vehicles. Alan Mulally, the chief executive, said pick-up sales now accounted for 9 per cent of the market compared with 11 per cent a few weeks ago. from US Socialist Worker 23 May, 2008 The depth of the global food crisis is best expressed by what poor people are eating to survive. In Burundi, it is farine noir, a mixture of black flour and moldy cassava. In Somalia, a thin gruel made from mashed thorn-tree branches called jerrin. In Haiti, it is a biscuit made of yellow dirt. Food inflation has sparked protests in Egypt, Haiti, Mexico and elsewhere. Tens of thousands protested earlier this month in Mogadishu, as the price of a corn meal rose twofold in four months. And while the crisis seemed to come out of nowhere, the reality of hunger is a regular feature of life for millions of people. The United Nations' Food and Agriculture Organization (FAO) estimates that 854 million people worldwide are undernourished. Hunger isn't simply the result of unpredictable incidents like the cyclone that struck Myanmar. In most cases, millions teeter on the edge of survival long before the natural disasters hit. According to UN Millennium Project Web site, of the 300 million children who go to bed hungry every day, only "8 percent are victims of famine or other emergency situations. 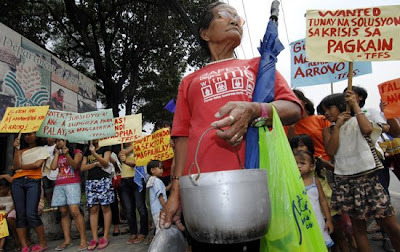 More than 90 percent are suffering long-term malnourishment and micronutrient deficiency." Introduction This is a brief report on some of the Budget highlights. There has not yet been an opportunity to analyse all aspects of the Budget so this report does not attempt to provide a full commentary. You will see that funding increases are often stated as over 4 years and we also need to factor in demographic changes as well as an inflation adjustment before we can assess real increases. Key Points The main focus of the Budget is personal tax cuts. A $10.6 billion package over 4 years delivers tax cuts that start at $12 to $28 a week in October this year and rise to $22 to $55 a week in April 2011. In addition there is $275 million a year being added to family tax credits. Other key issues are a broadband package of $500 million, $168 million over 4 years targeted at language, literacy and numeracy initiatives and funding to reduce teacher/pupil ratios for new entrants in primary schools to 1:15. Fiscal Outlook The Budget is showing an operating surplus for 2007/08 of $2.6 billion compared with a forecast of $6.4 billion. The cash position for 2007/08 is forecast to be a surplus of $0.9 billion. The OBEGAL (Operating balance before gains and losses) is $5.2 billion compared with the forecast of $6.6 billion. The forecasts over the next 4 years are for large cash deficits for the Government of around $3.5 billion a year. And the allocation for new spending in future budgets has been reduced from $2 billion a year to $1.75 billion. NZ Superannuation Fund The New Zealand Superannuation Fund is forecast to be $14.5 billion in June 2008 rising to $29 billion by 2012. Tax Cuts Tax cuts will start from 1st October this year. From then the 15% rate on income below $9,500 changes to 12.5% on income up to $14,000 and the tax thresholds change from $38,000 and $60,000 to $40,000 and $70,000. The thresholds rise by 2011 to $20,000, $42,500 and $80,000. Family Tax Credits The Family Tax Credit, which is based on the number and age of children, will increase from 1 October 2008. The inflation adjustment due next year has been brought forward. All 371,000 families who qualify for Working for Families will benefit from this change. The family income threshold will also be increased to take account of inflation. This means that at any level of income above $35,000, there is an extra $7 per week boost to Working for Families tax credits. The Government has said that a two-income family on $65,000 a year with two children gets an extra $42.65 a week in October this year due to the combined impact of tax cuts and improvements to Working for Families. Health Health spending has been allocated $3 billion in Budget 2008 ($750 million per annum). This represents again one of the largest budget allocations. The most significant allocation is the $2 billion inflationary adjustment to DHBs for increased costs in goods and services. DHBs also received $172.3 million of financial incentives to realise efficiencies and progress health targets. There is $160 million, over four years, for elective surgery to reduce waiting lists was announced earlier in the week. A somewhat unexpected but welcome announcement is $60 million “to build a better workforce”: $37.6 million to provide staff training including GP training, $10.4 million to extend the Pacific Provider Development Fund and $12 million to improve the capability of the Maori nursing workforce. The Primary Health Care Strategy has had $80 million allocated over the next four years, which includes reduced co-payments of prescriptions sourced from secondary care facilities, for people enrolled with a PHO, and prescriptions sourced from out-of-hours doctor visits. There are number of health conditions and projects that have been allocated funds to make up the bulk of the $3 billion allocation. The largest of these is the $164.2 million, over four years, for a major immunisation programme to fight cervical cancer. $28 million has been allocated over the next four years for programmes that focus on ensuring higher-quality care and quality improvements. Public Sector There is some additional funding for the Department of Conservation. Also there is $216.3 million capital for the replacement of Mt Eden Prison, $205.4 million for research and development on top of the $700 million for the NZ Fast Forward Fund, $91.7 million to recruit additional probation officers, $6.3 million over two years to address the pressure on Auckland courts, $23.8 million is provided to increase the services of the Maori Trustee, $5.3 million to assist the Office of Treaty Settlements to meet the 2020 settlement target, $10.9 million for Radio New Zealand, and $4.4 million for the NZ Symphony Orchestra. Skills, Industry Training and Tertiary Education There is $168 million over 4 years to support the Unified Skills Strategy which is a partnership between the CTU, Government, Business New Zealand and the Industry Training Federation. Most of this new spending is on language, literacy and numeracy initiatives – mainly for workers. Industry Training Organisations get an extra $32.6 million over 4 years – in line with CPI. The budget has made investments into training, infrastructure and research in the tertiary sector including $591 million over five years and $15.5 million capital for universities and polytechnics. Compulsory Education The 5% increase in school operational funding, effective from January 2009, was announced pre-budget. This increase includes the component to assist schools with the cost of Information and Communications Technology (ICT). It therefore doesn’t deliver on expectations and hopes for increases and targeting of school-support staff which will be a major concern for education sector unions. The 2005 commitment to reduce the Year 1 teacher/pupil ratio to 1:15 has been met with $182 million in operating funding and $33.5 million in capital funding. $1.8 billion over five years is identified in the Budget ($619.1 million in Budget 2008 and the remainder from Budget 2007 and Budget 2009) for teachers’ wage settlements and key collective agreements. Early Childhood Care Education An increase to the early childhood education (ECE) annual cost adjustment brings this sector in sight of delivering on promises to meet staffing levels and salary increases for early childhood education teachers. $63.6 million has been allocated over four years in operating funding. This will increase the ECE funding subsidy, Free ECE and equity funding rates to reflect services’ costs increases; increases in the provisionally registered teachers support grant to reflect salary increases, and; includes funding for limited attendance centres. Student Allowances Access to student allowances has extended with an increase of 10 percent to the parental income threshold. Students whose parent’s combined income is less than $50,318.22 per annum will be eligible for a full allowance from 1 January 2009. Home Insulation Over the next four years $6 million will be allocated for 32,000 insulation fit-outs in the homes of low-income families (on top of the $22.4m announced for fit-outs in state houses last week). A further $5 million is committed to an interest-free loan scheme for middle income families to fit out their homes. Housing Following the $35 million announced last week over the next two years to be invested in a shared equity scheme, there will be $37.8 million spent over the next three years to develop the Hobsonville site in Auckland and a $220 million fund set up to help Wellington City Council modernise its affordable rental housing over the next decade and a half. Superannuation Reduction in personal tax rates will increase fortnightly superannuation payments for a married couple by $45.88 and $23.84 for a single superannuitant living alone. Community Organisations In February $446.5 million was announced to fully fund contracted essential services delivered by community organisations. Broadband There is additional $325 million of operating funding over 5 years and $15 million capital funding in the coming year to support the rollout of high speed broadband. This includes the setting up of a $75 million contestable fund over five years for rural broadband. Financial Education There is $7.8M for financial education in the workplace over the next four years. Contingencies The Budget refers to a number of new or changed quantified or unquantified risks. Examples are $105 million capital on border management, impact of Schools Plus, up to $84 million a year for school property, restructuring the rail industry, not-for-profit housing, funding for Courts in Greater Auckland, and five year action plan for out of school services. Summary This Budget is about personal tax cuts – and not a lot else. It shows that tax cuts even of this magnitude are costly - $2.7 billion a year. The forecasts show that the Government will run large cash deficits over the next 4 years, and the room for significant increases in social spending is constrained by lower revenue increases than previous years, and the tax cuts. A series of brutal attacks on migrant workers in South Africa in the last two weeks has left dozens dead and forced thousands to flee. At least 22 people had been killed as Socialist Worker went to press. The mobs carrying out the assaults accuse migrants of taking jobs from local people and causing crime. Activists in Johannesburg have called a solidarity march to build unity between South African workers and migrants. The Anti-Privatisation Forum (APF) issued a statement against the attacks. 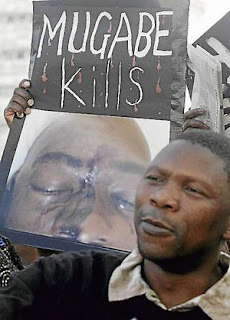 “Some 40 percent of all South African citizens are unemployed and this has been the case for many years,” it read. 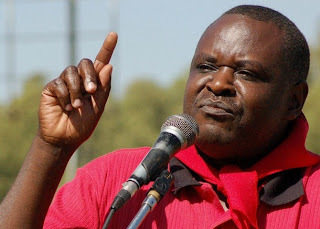 It also pointed out that “the South African government’s approach to the crisis in Zimbabwe has further contributed to the mass migration of Zimbabweans to South Africa”. 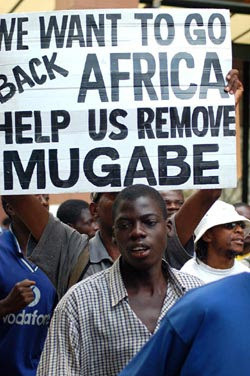 The majority of the migrants have arrived from neighbouring Zimbabwe since the collapse of its economy. The APF is urgently building this Saturday’s solidarity march against the attacks. Claire Ceruti, editor of the Socialism from Below publication, spoke to Socialist Worker: “Migrant workers are sheltering in police stations, which is ironic since police arrested 1,500 of them in a raid at the end of January. People have been taken by surprise at the level of violence, she adds. “I live in Yeoville, which is normally a vibrant suburb, but is now silent. No kids are out playing, no one is walking on the street. People are just too scared to show their faces. “But one small example shows the potential for solidarity. In inner city Johannesburg several residential buildings have been organising against evictions by the city government. “The majority of people in one of the buildings are from Zimbabwe and came under attack over the weekend. But the advice centre that coordinates the anti-eviction campaign mobilised the other blocks, which are almost all South African. The attackers were driven off. See LINKS for more information on this important struggle. When Labour’s third-ranked cabinet minister starts talking about the possibility of defeat in the upcoming election, you know they're in real trouble. In my union, there’s a whole lot of thinking going on already about life under the Goff scenario – with National potentially in power by year’s end. People are talking about the need to mobilise members to fight this time, unlike in 1991 when many unions retreated before the blitzkreig of an incoming National government. Which makes yesterday's media release from the Council of Trade Unions, below, all the more disturbing. Even as workers turn their backs on Labour in disgust, CTU secretary Carol Beaumont has announced she’s standing as a Labour Party candidate. Beaumont is the latest and highest profile union leader to nail her colours to Labour’s mast. She joins the president of the country’s largest union, the Engineering Printing & Manufacturing Union, who’s standing for Labour in the safe National seat of Clutha-Southland. Behind the scenes, CTU president (and former member of Labour’s National Policy Council) Helen Kelly is sure to be working for Labour, too. 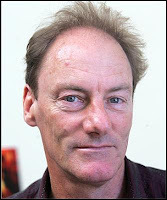 As is CTU vice-president Richard Wagstaff from the pro-Labour PSA public sector union. This does not augur well for a fighting union movement. Time and again, loyalty to Labour among top union leaders blunts the movement’s fighting edge and ends up strengthening National’s agenda. It happened in 1991, when they refused to organise a mass campaign in defiance of National’s anti-union laws, and it’s happening today. 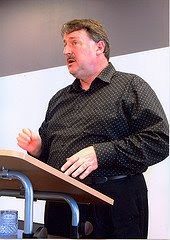 In 2005 the CTU waged a strong, united campaign against National’s tax cuts, managing to shift the focus onto higher wages and collective bargaining. 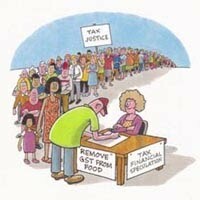 But now that Labour is promising tax cuts, the unions are hesitant. There is no strong counter-argument to National’s agenda. In the past, the CTU has opposed free trade. But when it’s Labour signing a flagship free trade deal with China, which will cost jobs and drive down wages here while strengthening the oppressive regime in Beijing, the CTU mumbles its endorsement. In industrial battles, too, from Air NZ to the junior doctors dispute, allegiance to Labour among the upper echelons leads unions to pull their punches and breeds disunity. Come 2009, a defeated Labour Party under a new leader would be likely to pull the whole show even further to the right. To those many trade unionists who are now seeing the need for a vigorous, fighting movement to confront a future National government, we say this: The trouble with backing the "lesser evil" is that win or lose, you still end up with an evil. It’s time to cut ties with Labour. Join the broad left movement which is standing in the election and is committed to mass grassroots resistance. Join RAM. The Council of Trade Unions governing body met today and were formally advised of secretary Carol Beaumont’s selection as the Labour candidate for Maungakiekie in Auckland at this year’s election. “Carol has been a hardworking advocate for working people all her life, and she will make an excellent contribution for workers in Parliament, although the CTU will miss her wide range of skills,” CTU vice president Richard Wagstaff said tonight. Carol was elected secretary of the CTU in 2003 after 20 years involvement in unions both in New Zealand and Australia, as delegate, executive member, organiser and union secretary, Richard Wagstaff said. Share information about the ongoing revolution in Venezuela and counter biased reporting by the corporate media. Mobilise public opinion against attempts by the USA state to destabilise and destroy the popular elected government of Hugo Chavez. Connect with communities in Venezuela and around the world supporting Venezuela's alternative. by Michael A. Lebowitz from LINKS - International Journal of Socialist Renewal Ideas become a material force when they grasp the minds of masses. This is true not only of ideas which can support revolutionary change. It is also true of those ideas which prevent change. An obvious example is the concept of TINA – the idea that there is no alternative, no alternative to neoliberalism, no alternative to capitalism. Certainly we know that there have been significant changes in the terrain upon which the working class must struggle – changes which are a challenge because of a new international division of labour and because of the role of states in delivering a passive, docile working class to international capital. It is not only changing material circumstances which affects the working class, however. It is also the loss of confidence of the working class that makes these material changes a deadly blow. Even the Korean working class that has demonstrated so clearly in the past its militancy in the struggle against capital has been affected. But it does not have to be that way. Because things are changing. Look at Latin America where the effects of global restructuring and neoliberalism took a very heavy toll. People said ultimately – enough! And they have said this not only to neoliberalism but, increasingly, they have moved further and say no to capitalism. For many, it came as a great shock when Hugo Chavez, president of Venezuela, said at the World Social Forum in January of 2005 in Brazil that "we have to reinvent socialism". Capitalism, he stressed, has to be transcended if we are ever going to end the poverty of the majority of the world. "We must reclaim socialism as a thesis, a project and a path, but a new type of socialism, a humanist one, which puts humans and not machines or the state ahead of everything." That statement, however, did not drop from the sky. It was the product of a spontaneous rejection of neoliberalism by masses in 1989, the election of Chavez with a promise to change things in 1998 and the response to the combination of the domestic oligarchy and imperialism in their attempt to overthrow Chavez in 2002 and 2003. The embrace of this new socialism, in short, was the product of struggle. The struggle continues. And, we can see that out of struggle comes creativity. In particular, the struggle in Venezuela has stressed the importance of a revolutionary democracy – a process in which people transform themselves as they directly transform circumstances. Through the development of communal councils representing 200 to 400 families in urban areas and as few as 20 in the rural areas, people have begun to identify their needs and their capacities and to transform the very character of the state into one which does not stand over and above civil society but rather becomes the agency for working people themselves. "All power to the communal councils" has been the call of Chavez; “The communal councils must become the cell of the new socialist state.” Ideas can become a material force when they grasp the minds of masses. In Latin America, the idea of a socialism for the 21st century is beginning to move the masses, with its emphasis upon Karl Marx's concept of revolutionary practice – the simultaneous changing of circumstances and self-change. At its core is the concept of revolutionary democracy. In contrast to the hierarchical capitalist state and to the despotism of the capitalist workplace, the concept is one of democracy in practice, democracy as practice, democracy as protagonism. Democracy in this sense – protagonistic democracy in the workplace, protagonistic democracy in neighbourhoods, communities, communes – is the democracy of people who are transforming themselves into revolutionary subjects. Here is an alternative to capitalism – the concept of socialism for the 21st century with its emphasis upon struggle from below, upon solidarity and upon building the capacities of working people through their own activities. It is an idea that a working class with a tradition of struggle against capital should have no difficulty in grasping. Socialism is the future – build it now. This the Preface to the forthcoming Korean edition of 'Build It Now: Socialism for the 21st century'. 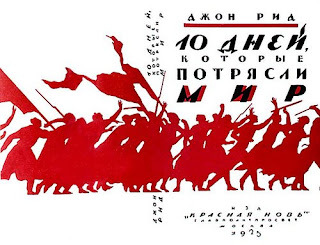 Design for the dust jacket of a 1923 Russian publication. Chris Trotter has written a good opinion piece on Rio Tinto's threat to leave New Zealand if the government goes ahead with its planned emissions trading scheme (see below). Rio Tinto is a transnational corporate energy giant that virtually monopolises the global aluminium industry - and it gets super cheap electricity in this country. The aluminium smelter at Bluff takes an incredible 15% of NZ's total electricity production. As Chris makes clear, Rio Tinto's opposition to the mildest and inadequate measures to address greenhouse gas emissions is a chilling example of corporate power ranged against the interests of humanity and the environment. The corporation is indeed a psychopath. Chris quotes Murray Horton from CAFCA (Campaign Against Foreign Control in Aotearoa), who says: "Go ahead and close the smelter and bugger off." Something that, Chris admits, this Labour government is not going to let happen. Not because thousands of workers might lose their jobs, but because Labour's partnership with international and local capital is locked in tight. Labour couldn't govern without the support of powerful corporate interests, who are only too ready to let Labour know what the price of that support is. Rio Tinto's threat is just a more open and direct example of what goes on all the time. And with no real support base in the working class the 21st century Labour Party cannot lead any opposition to these powerful forces. That's of course if Clark, Cullen and Co actually wanted to do - which of course they don't. What the debacle of Labour's emission trading scheme shows is that fighting to save the environment is also a fight against corporate power. And that requires a mass grassroots political movement, it requires leadership from political organisations which have earned the respect and trust of ordinary people. Something which the Labour Party has long since lost. In these times of mass cynicism towards politicians (which the Greens have clumsily tried to reflect in their "some things are bigger than politics" slogan) we can perhaps understandably forget that it's possible to achieve a positive and powerful dynamic between political leaders and the people. Think of the leaders of the civil rights movement in the United States. Or Maori leaders of the tino rangatiratanga struggle in this country. And look at the example of Hugo Chavez in Venezuela, or Evo Morales in Bolivia. And that leadership does not have to be embodied in just one or a few people, but in political organisations that have the mass support of working class people. A political leadership totally committed to people and environment could then call Rio Tinto's bluff and act to push for the nationalisation of the companies' ownings. It's possible. In Venezuela recently the Chavez government, which enjoys massive support from grassroots Venezuelan's, acted to nationalise the Argentinian owned SIDOR steelworks in Guayana (See Venezuela: Steel nationalisation marks 'new revolution within revolution') This follows other nationalisations of telecommunications and electricity companies, and Venezuela's dominant oil industry. These nationalisations, which confront neo-liberalism in the backyard of the United States, have been possible because a position of power has been achieved by a mass movement. The challenge for leftists in Aotearoa is to seriously move towards creating the kind of dynamic that exists today in Venezuela between a respected leadership and grassroots people. If achieved then everything becomes possible. A mass broad left party, such as RAM is on the road to becoming in New Zealand, will help the left to go beyond rhetoric, to leading struggles with every chance of achieving their goal. We know what needs to happen - the alternative of the status quo perpetuating itself is just too depressing - but it's working our side into a position where it can happen. That's the ambitious goal that RAM can and should be aiming for. The more people who join RAM today the more chance there is of making things happen tomorrow. Once again the masks have slipped. Once again we have caught a glimpse of the true faces of our masters. Once again, New Zealand's acute vulnerability to the power of vast transnational corporations has been brutally revealed. As an exercise in raw economic coercion, Rio Tinto's submission to the parliamentary select committee scrutinising our Government's proposed emissions trading scheme (ETS) was chilling. Ranged before the elected representatives of the New Zealand people were the appointed representatives of one of the world's largest and most profitable corporations. Including its joint ventures, Rio Tinto employs 73,000 people in 61 countries. It is the global leader in smelting aluminium, with annual revenues of US$49 billion (NZ$65 billion), a sum roughly equivalent to 30 per cent of New Zealand's entire gross domestic product. As living proof that neither race nor gender counts for very much in this new age of equal- opportunity capitalism, Rio Tinto's Asia/Pacific president is a woman of Chinese descent, Ms Xiaoling Liu. It was from her that the select committee received the bad news. In its current form, she explained, the ETS posed a threat to the economic competitiveness of the Bluff aluminium smelter's production. Rio Tinto could not, therefore, guarantee the smelter's long-term future if the Government's scheme (in its current form) was permitted to proceed. Her judgment, as cold and bleak as a Southland winter, was left to slowly defrost on the committee-room table. And now, while Invercargill shivers, and its voluble mayor, Tim Shadbolt, shakes his fist, our government must determine its response. Thirty years ago, faced with such a flagrant challenge to its sovereignty, a Labour government might have countered Rio Tinto's presentation by threatening to nationalise its New Zealand operation. Today, quite apart from exposing the nation to all manner of WTO penalties, such a threat would be laughed out of court. Rio Tinto, "whose business is finding, mining and processing the Earth's mineral resources", not only dominates the world's aluminium smelting industry, but also controls the lion's share of the planet's bauxite deposits. Without bauxite, of course, an aluminium smelter is useless. So, should the Government call her and Rio Tinto's bluff? By forcing Rio Tinto's departure, and the shutting down of the Tiwai Pt smelter, Labour would be free to divert 15 per cent of New Zealand's total electrical energy production (the amount consumed by the smelter) to other uses. The period in which new generation facilities need to be commissioned could be dramatically extended, and electricity price rises smoothed considerably, by such a massive energy windfall. Unfortunately, calling Rio Tinto's bluff would also entail ripping the heart (and, according to Mayor Shadbolt, the soul) out of Southland's economy. By local estimates, at least 3000 jobs ­ many of them extremely well- paid ­ would be lost, with devastating social and economic consequences for the entire Southland region. While the fourth Labour government was only too willing to consign thousands of workers to the human scrap-heap in the name of economic rationalisation, I'm not so sure that this Government is ready to follow suit, at least, not in an election year. 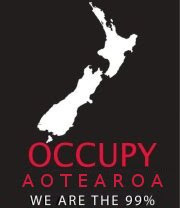 Murray Horton, from the Campaign Against Foreign Control in Aotearoa, thinks they should: "Go ahead and close the smelter and bugger off", he thunders. "See if we care, the country will be much better off without you. The smelter is the single biggest user of electricity, consuming one-sixth of the total. It pays a top-secret, super-cheap price that is not available to any other user and all it does is export electricity from New Zealand in the form of alumina, while being subsidised by all other electricity users." Way back at the beginning of this latest period of globalisation, Jack Welch, the CEO of General Electric, notoriously remarked: "Ideally you'd have every plant you own on a barge." The theory was, big business could hold unions and governments to ransom by threatening to go offshore if the cost of labour, or environmental regulation, became too expensive. What Mr Welch and his ilk failed to foresee was that a time would come when the greenhouse gas emissions from every plant they owned represented so great a threat to the planet that the location of their barges no longer really mattered. I'd invite Rio Tinto to do their worst but I suspect they already are. Oil companies have the potential to achieve more than 10 per cent cuts in greenhouse gas emissions by 2020 without using agrofuels, reveals a report launched today by Friends of the Earth Europe. Released on the day Shell and BP announced combined quarterly profits of 14.4 billion US dollars, 'Extracting the truth: Oil industry efforts to undermine the Fuel Quality Directive' uses industry's own data to show how oil companies are falsely claiming that the target proposed by the European Commission in revisions to the Fuel Quality Directive is unachievable. It shows that at least 10 per cent reductions in greenhouse gas emissions could be realised through reduced gas flaring, improved energy efficiency and fuel switching at refineries, and without the need for agrofuels which can have negative environmental and socials impacts and have not been proven to reduce emissions overall. “The oil industry is saying that it lacks the financial and technological resources to decrease its greenhouse gas emissions, but according to our research it has the potential to meet, and even exceed, the 10 per cent CO2 reduction target of the Directive. And this is without resorting to harmful agrofuels. Friends of the Earth Europe’s report calculates that reductions in greenhouse gas emissions of between 10.5 per cent and 15.5 per cent are possible through measures including less flaring and venting, energy efficiency improvements and fuel switching in refineries. The report comes at a time of record profits for oil companies and increasing attempts to portray themselves as environmentally responsible. In 2007, ExxonMobil, Royal Dutch Shell, Chevron, TOTAL, BP and ENI together earned together over 125 billion US dollars. The analysis released today puts oil industry attempts to obstruct the Fuel Quality Directive in the context of increased “greenwashing.” Behind the scenes oil companies are lobbying against environmental legislation whilst in public they use advertising to suggest that they are reducing emissions. In 2007 Shell was found guilty of misleading advertising for an advert in which it claimed it used waste CO2 to grow flowers. "There is a political swing towards what were once considered the ideas of the political left such as minimum wages, benefits and so on,” said Holgar Schaefer, labour economist at the Cologne Institute of Economics. “It is a tendency that is only likely to become more obvious in coming years.” Quoted from After the boomers, meet the children dubbed ‘baby losers’ by Graham Keeley for The Observer (10 May 2008).